Indian event now accepting entries ahead of 27 April early deadline. 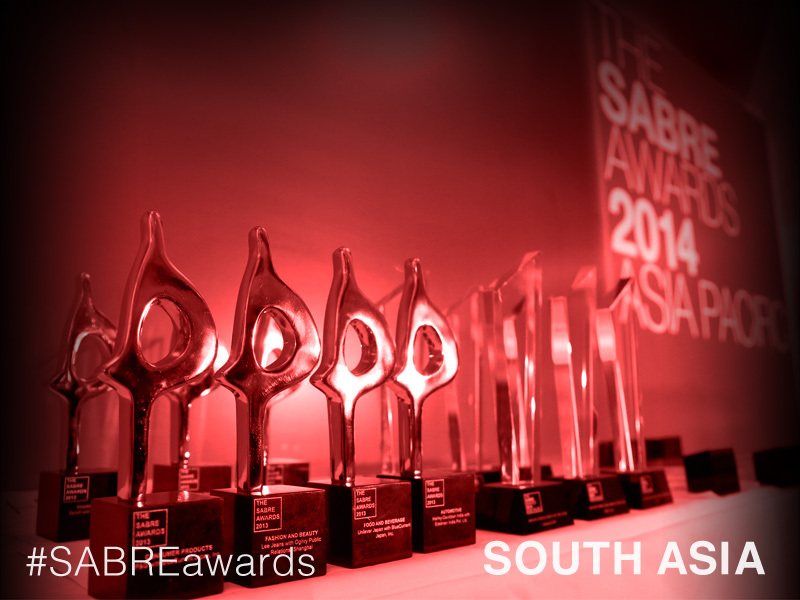 The 2018 SABRE Awards South Asia is now accepting entries ahead of the early deadline of 27 April. The sixth SABRE Awards South Asia, again produced by the Holmes Report and PRCAI, will take place at the Pullman Hotel in New Delhi on 25 July. This year, all SABRE Awards South Asia winners will automatically be entered into the SABRE Awards Asia-Pacific competition at no extra cost. All of the relevant entry information and fees can be found here, along with the procedure for making online entries. Entries will be accepted beyond 27 April until 1 June upon payment of a late fee. A jury of industry leaders will be announced shortly. The judges session, which will take place in June, will be chaired by Holmes Report editor-in-chief Arun Sudhaman and PRCAI president Nitin Mantri. “We have entered the sixth year of our partnership with the Holmes Report for the Sabre Awards and each year, the awards have gone a notch higher in terms of quality of work and number of entries. The PRCAI has been committed to taking the awards beyond the metros and getting regional firms to showcase their work which is a great step towards celebrating good work from across the country,” said Mantri. Last year's SABRE Awards South Asia saw Back to Work by Medela with Genesis Burson-Marsteller take top honours, ahead a very strong field, many of which went on to win Asia-Pacific and Global SABRE Awards.